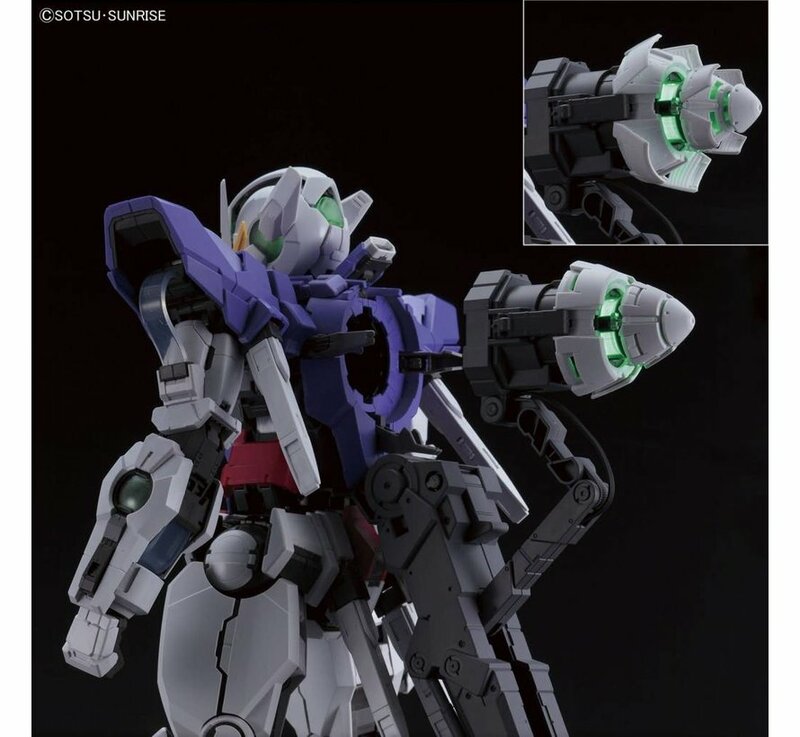 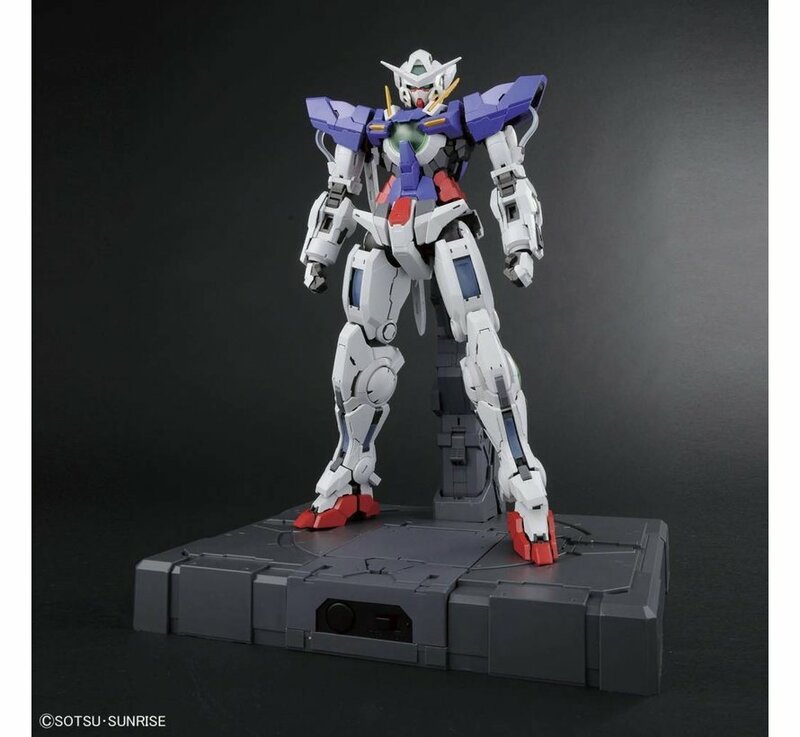 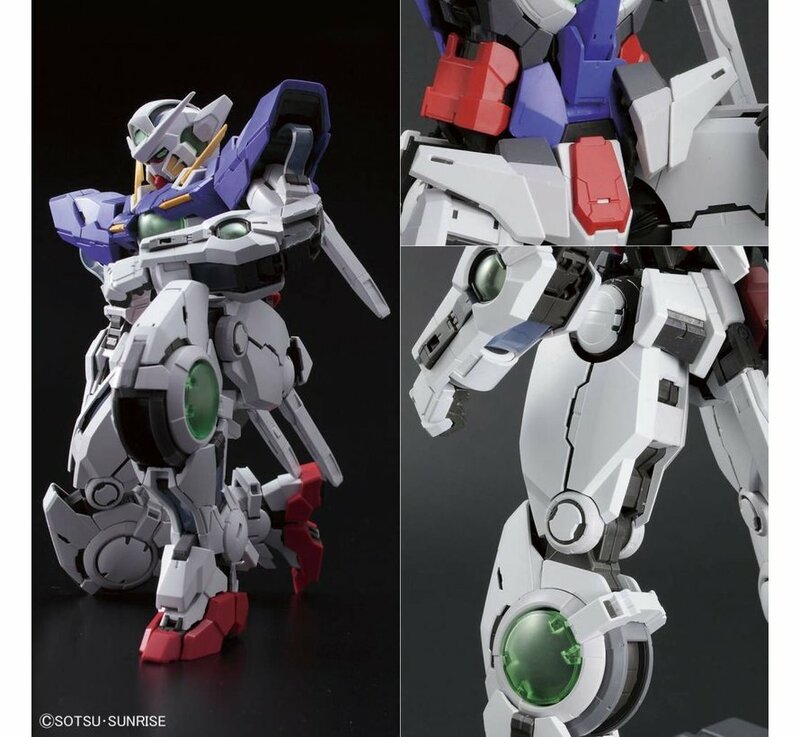 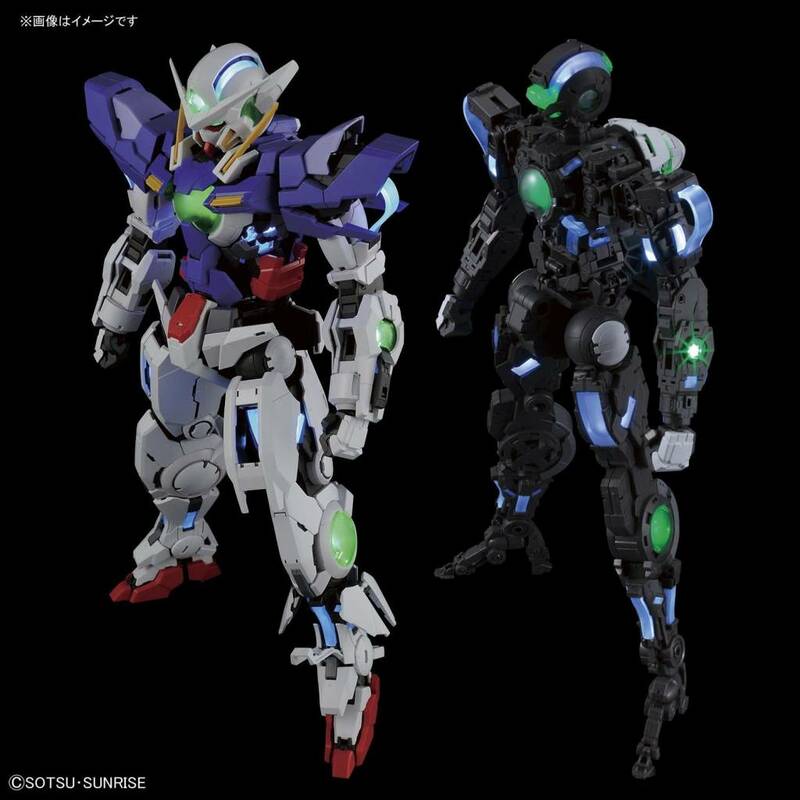 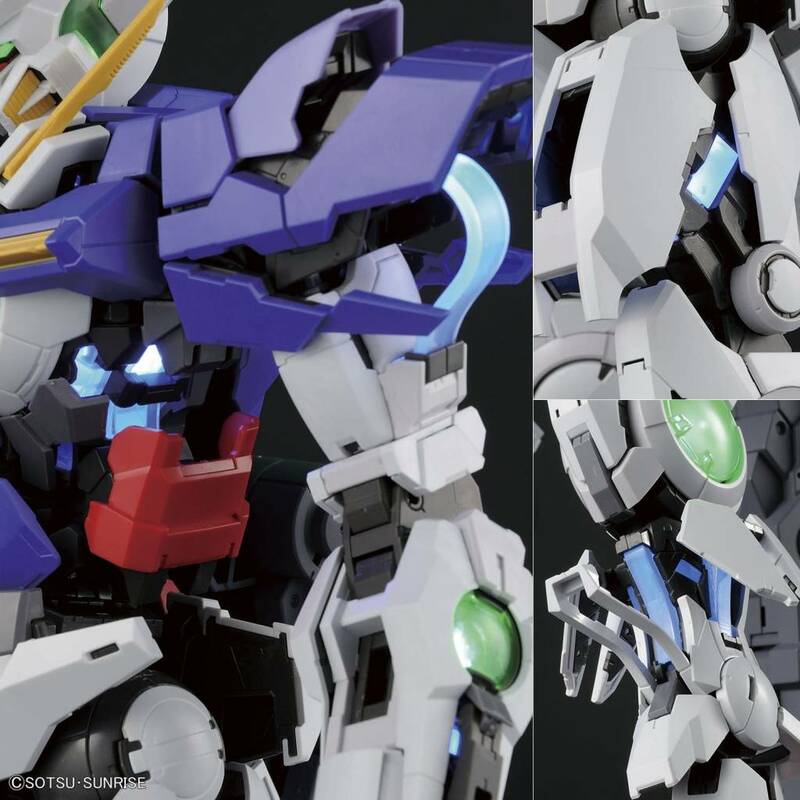 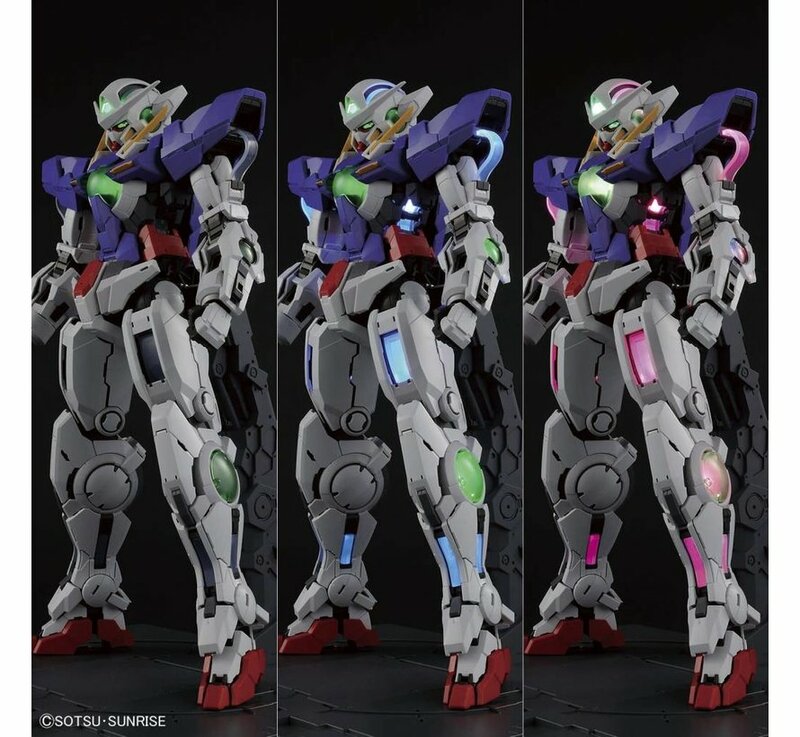 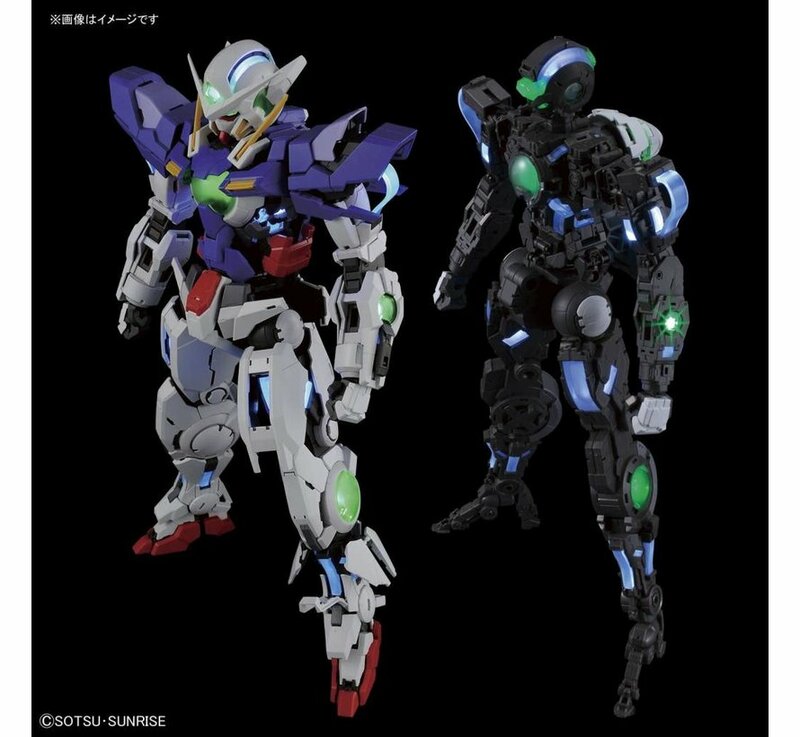 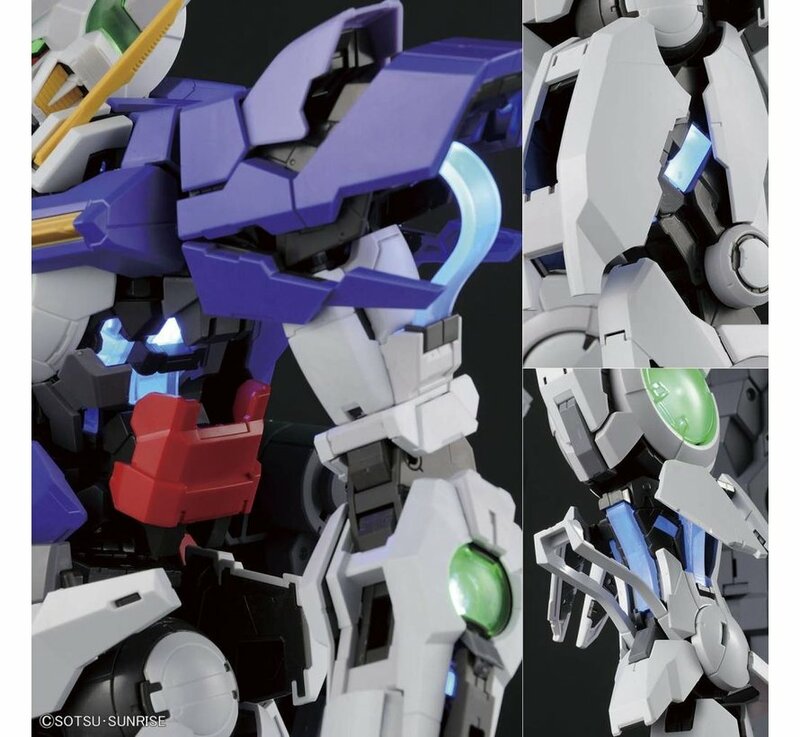 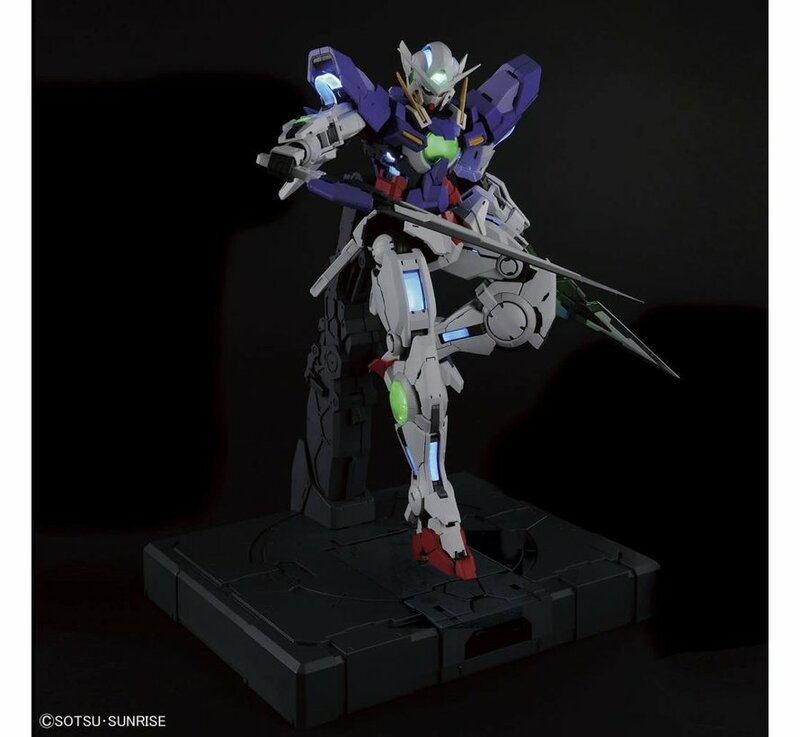 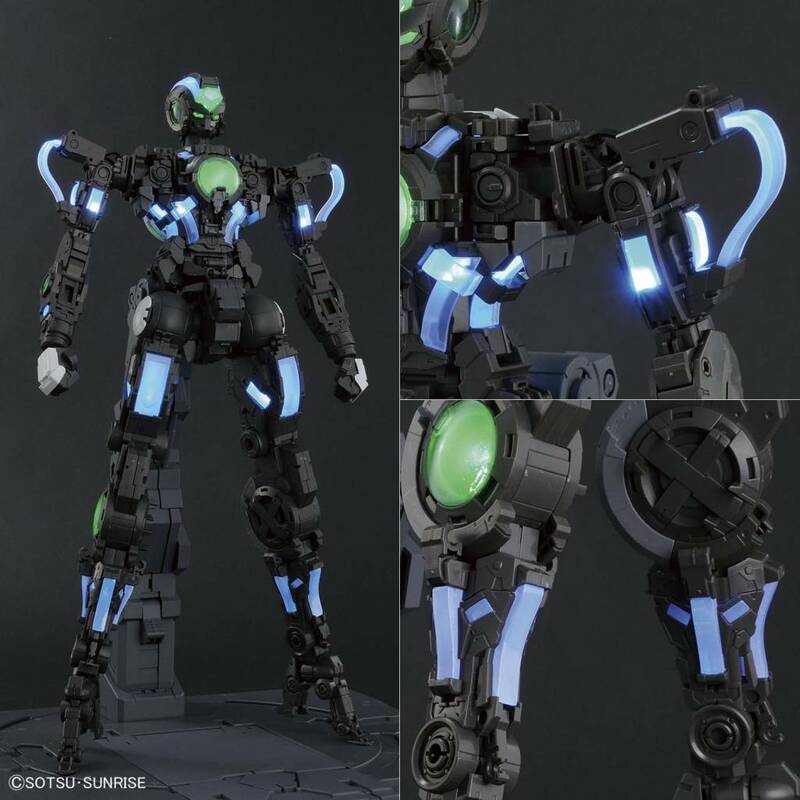 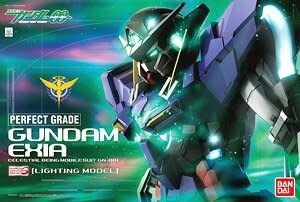 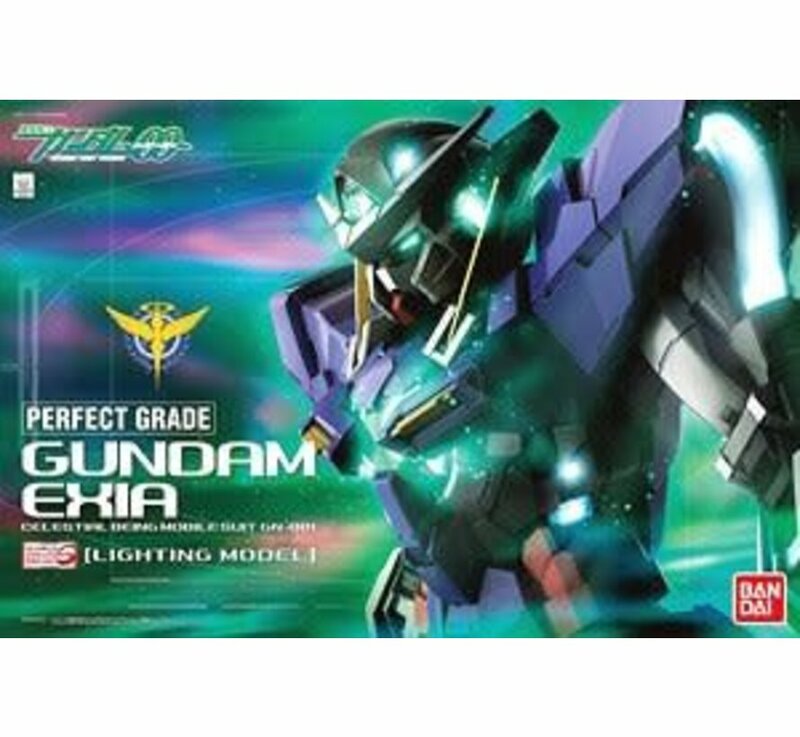 Perfect Grade Gundam Exia with Lighting components! Released as part of the 10th Anniversary of "Gundam 00," and the first Perfect Grade as part of the GunPla Evolution 40th Anniversary project! 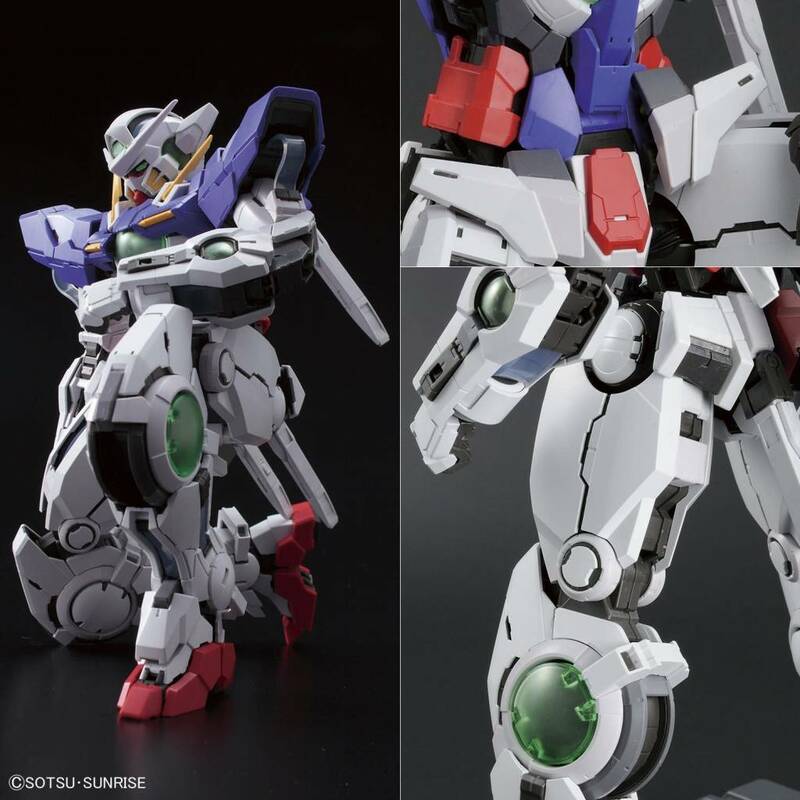 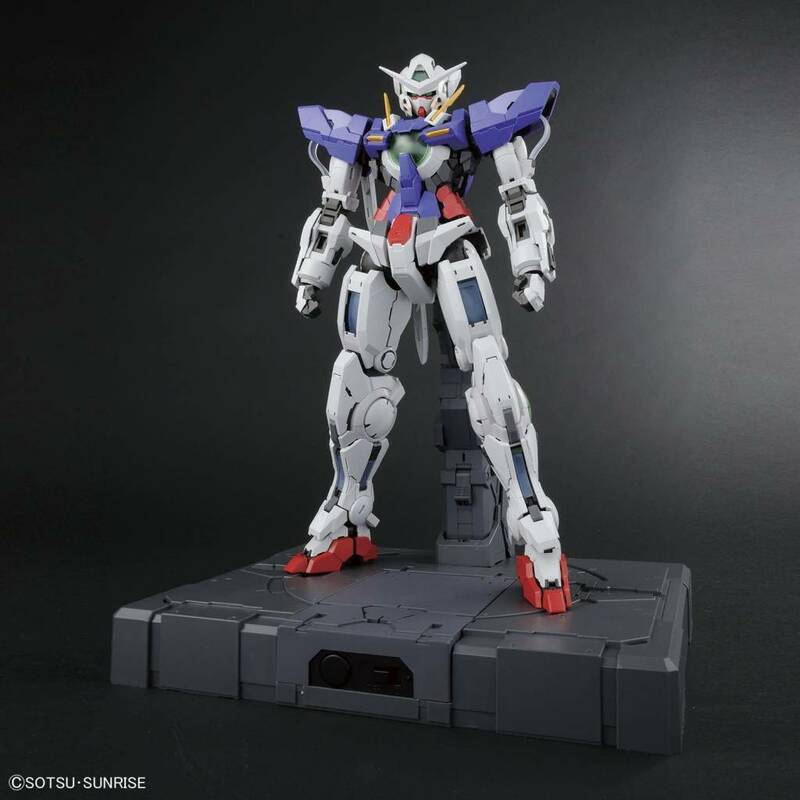 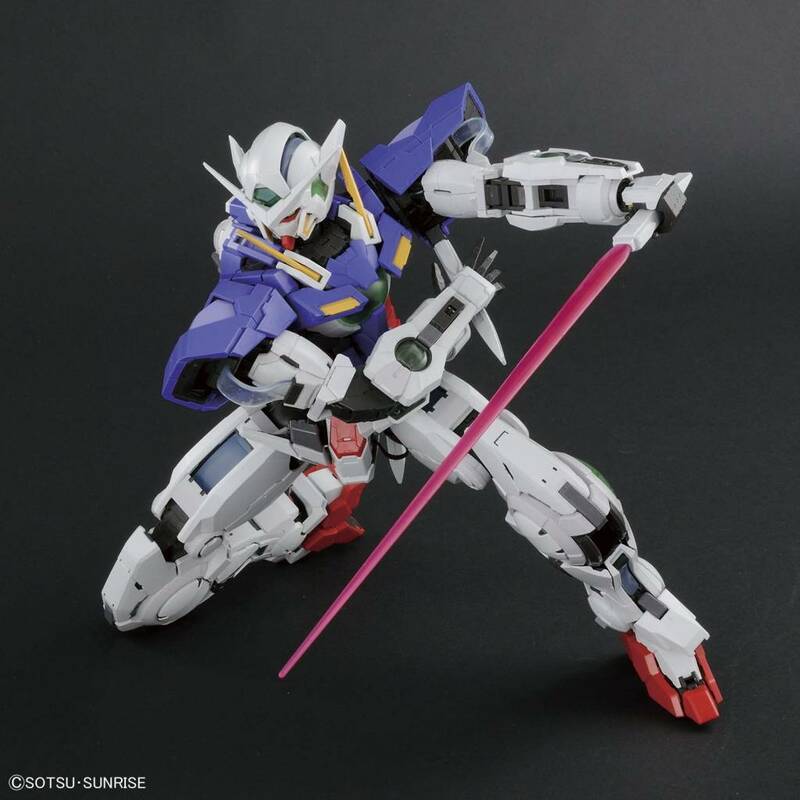 Representing the pinnacle of plastic modeling engineering, the Gundam Exia incorporates a full mechanical skeleton that's capable of accomplishing dynamic posing and features rich surface detail. 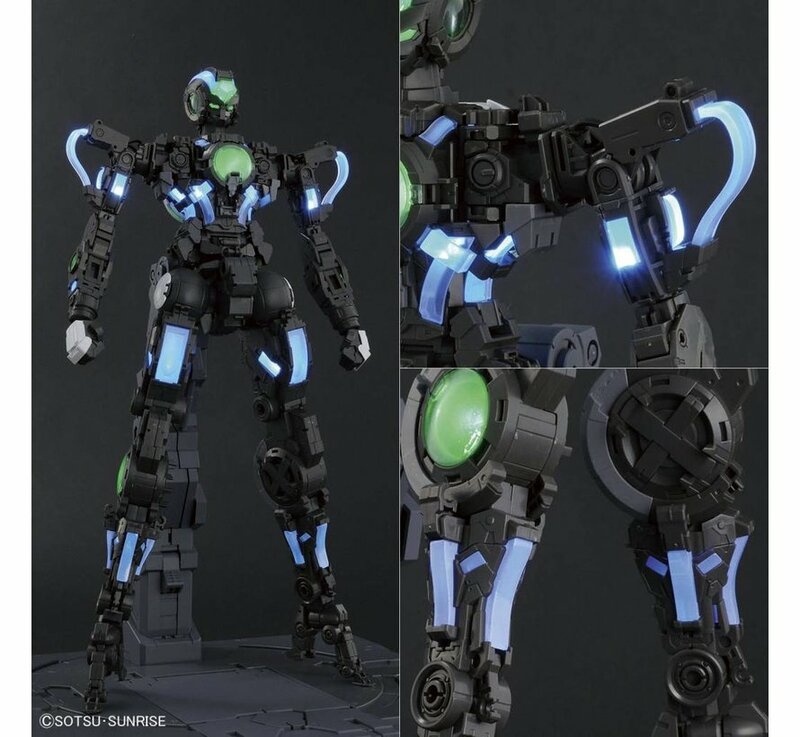 Armor features open hatch gimmicks to mimic real world machines and futuristic sci-fi detail on GN Drive, GN Condensers, and GN Cables. 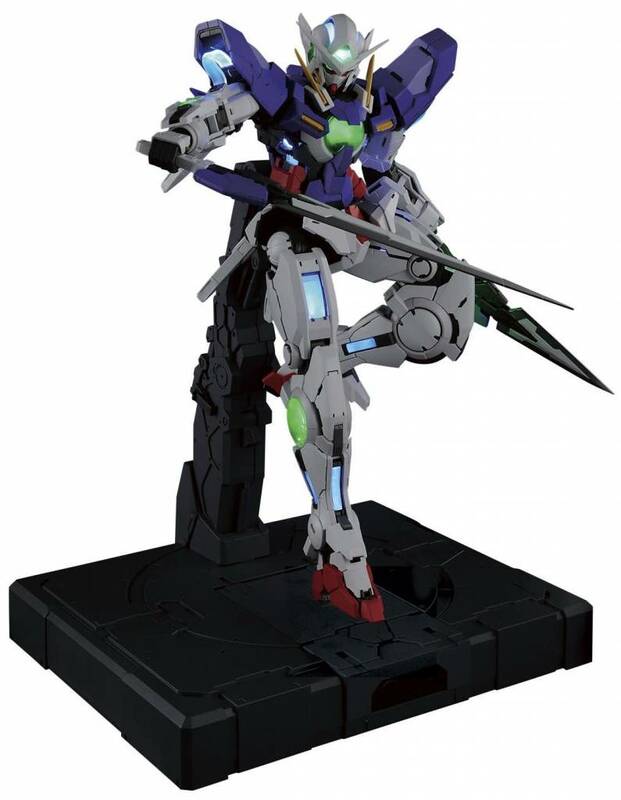 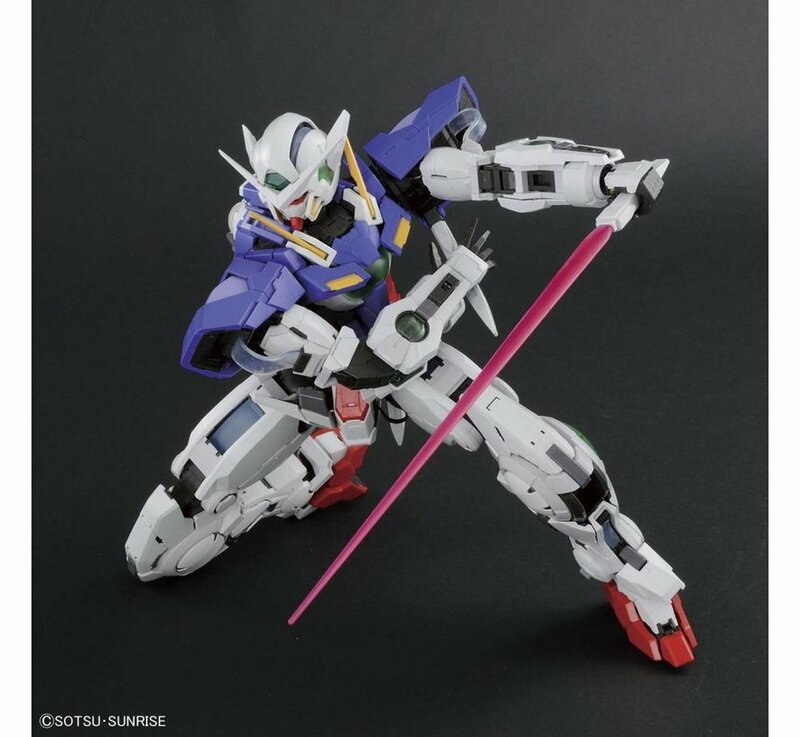 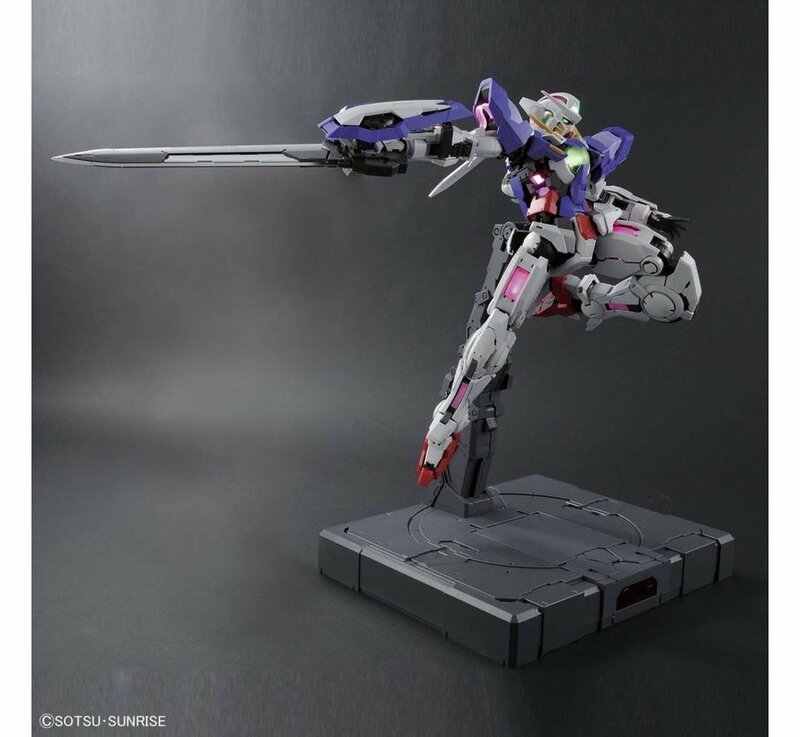 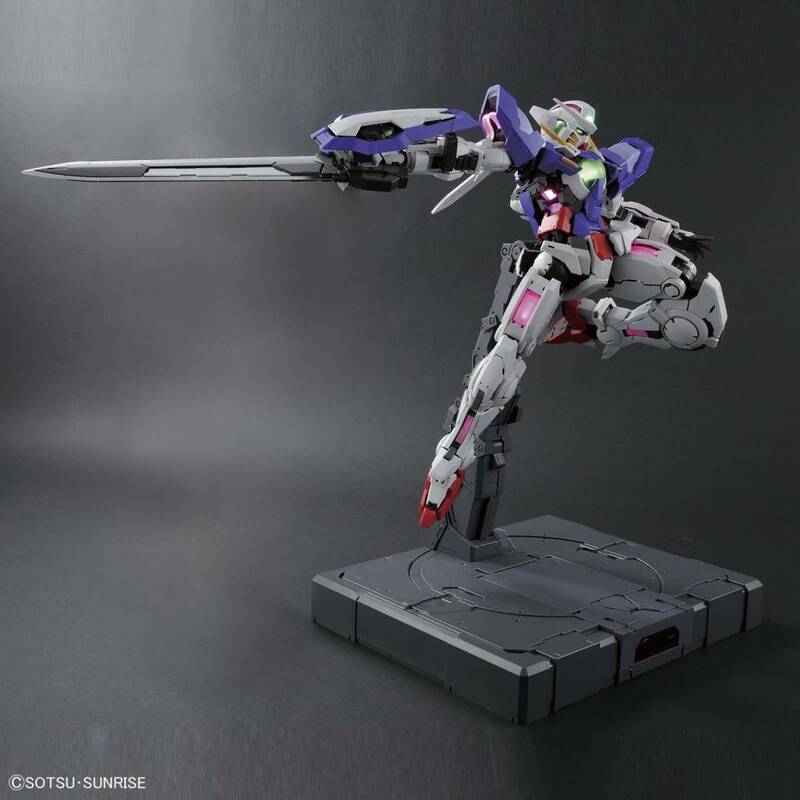 All classic armaments like GN Sword, GN Short and Long Blade, GN Shield, GN Beam Sabers/Daggers are included along with a display stand that can perform aerial poses! 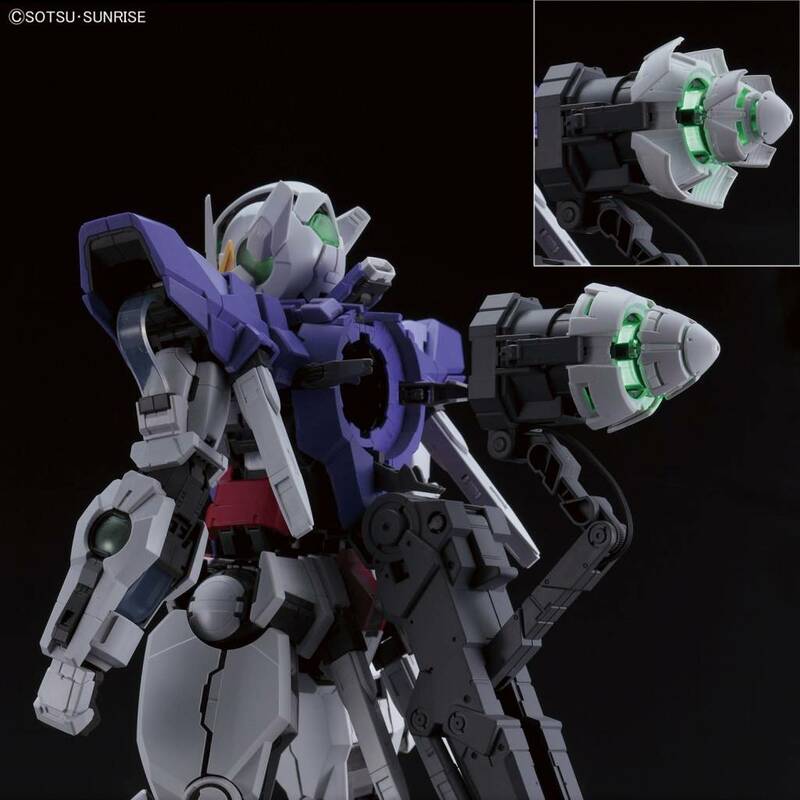 LEDs featured on this kit, called the "Luminous Elements" system run throughout the body illuminating not only the GN Drive, but the GN Condensers, and for the first time the GN Cables! 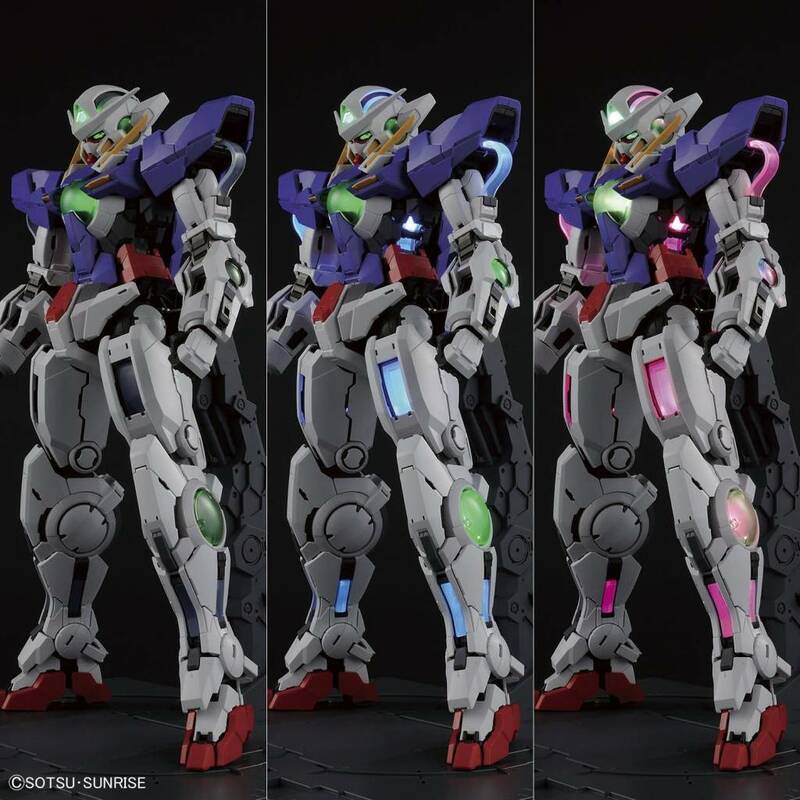 Furthermore the LED system incorporates color changes from green to green/blue to pink/red representing the Trans-Am mode in the show! 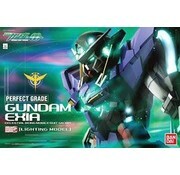 Runner x 40, various marking seals and dry decals, instruction manual x 2. 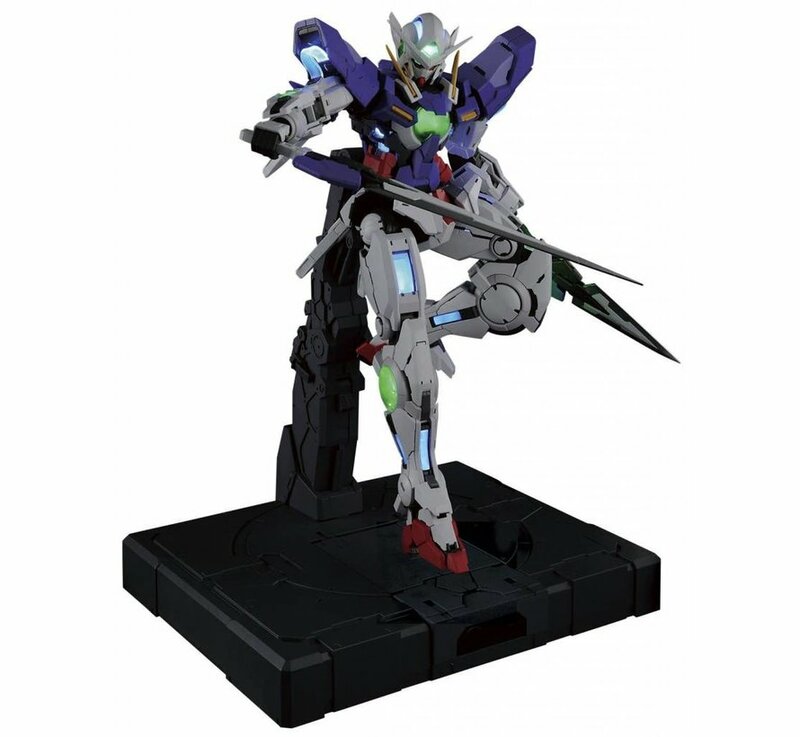 Package size: Approx 23.22" x15.66"x6.69"